Agriturismo La Breda offers a natural swimming pool and rustic apartments set in a converted 18th-century farmhouse in San Felice del Benaco. 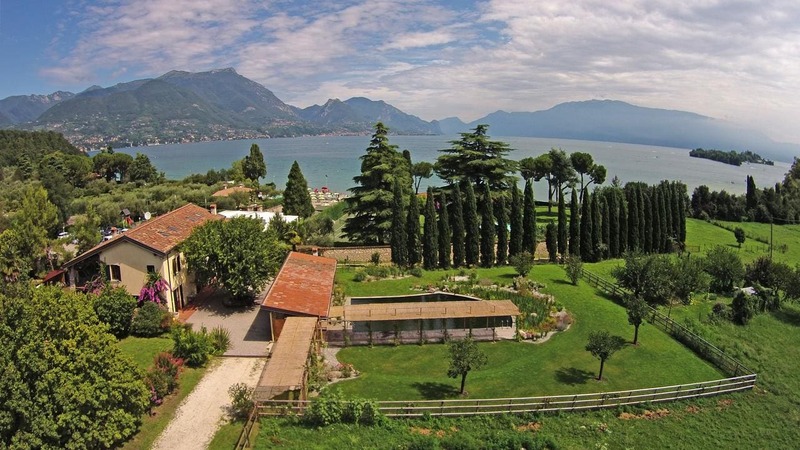 Es sólo 100 m from the Baia Del Vento beach on Lake Garda’s shores. The La Breda is only reachable by car or by bike from the village centre of San Felice del Benaco, 2 km. Wi-Fi throughout the building is free. With air conditioning, simple décor and a satellite TV, the studios have terracotta or parquet floors, and a living/dining area with kitchenette. Some are set on 2 levels, while others boast a private panoramic terrace. You can prepare your meals on the free shared BBQ, and relax in the garden lined with olive groves. Tours to Isola del Garda island and its castle can be organised by the owner. Shuttle service to Brescia Montichiari Airport is arranged on request.